Two weeks ago, I gave away my Starry Eyed quilt. I saw the recipient today and she asked "Did you really mean to give that to me? It's so pretty! Surely I misheard you and the quilt was meant for someone else?" 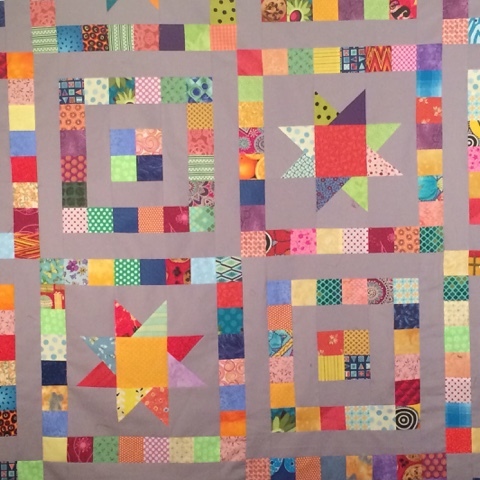 This confirms that the quilt is with the right person in its forever home. Such a simple design but so striking.